Republic of South Africa is not just one of the world\’s largest producers of marijuana, but also its biggest customer. Most part of the product is produced in the country, but neighboring countries such as Lesotho, where cannabis is the main cash crop, also supplies. Morocco and Algeria are the major markets of cannabis in North Africa. Morocco supplies hashish, West Africa supplies marijuana. 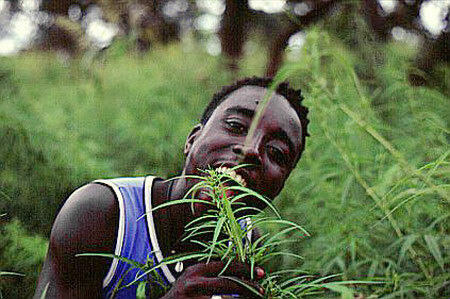 In some areas, such as the Congo, the war contributed to illegal cannabis cultivation. It also resulted in other negative phenomena associated with crime and violence. There is more quite situation in Kenya. Khat is the main agricultural crop and consumer drug is Kenya. This plant creates more serious problem there, so marijuana is pushed to the sidelines. In other words, Kenya is more tolerant to marijuana. Africa has played a significant role in international illegal drug trafficking, such as cannabis, heroin and mandrax (from South-East Asia), and cocaine (from South America). Furthermore, Africa is secure transit area for these substances, and consumption of these drugs is growing rapidly. Lesotho is located in a mountainous part of South Africa surrounded by Republic of South Africa, which is the only neighbor of the State. Lesotho is a sort of island at the territory of the Republic of South Africa. It is a small, mainly agricultural country with a population of around 2 million people. Although Lesotho is politically independent but because of its geographical position is largely dependent on powerful neighbor. 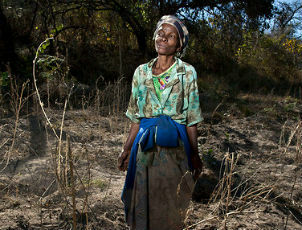 The country recently recognized as one of the poorest countries in the world. Most people work in Golden Valleys for South African companies. Lesotho is the largest producer of cannabis. It is called matekane there. Most of this product comes to the South Africa market. Republic of South Africa is undoubtedly the dominant cannabis market in the region. The largest international markets are, of course, Johannesburg (Gauteng), Durban, KwaZulu-Natal and Cape Town (Western Cape Province). As in other poor countries marijuana is the third source of revenue after the international aid and money from mining companies. You can even speak of a \”cannabis complex\” – some of the regions specialize in production and cultivation of marijuana specifically to meet the demand for consumer markets. There is no doubt that cannabis is grown throughout southern Africa, but there are four major areas that specialize in the production of marijuana. These are: the South African province of KwaZulu-Natal and the Eastern Cape (former Transkei), as well as two small independent states, Swaziland and Lesotho. It should be noted that production of marijuana for the South African market only increases their dependence on powerful neighbor. It is impossible not to take into account the fact that cannabis cultivation at this area has a long tradition. The first historical mention of cannabis dates back to the 16th century. According to the historian Stephen Gill, there is a story which referred to marijuana. As the story goes, a group of Cohen came from the north-east, where now Mpumalanga is located, the former Orange Free State, and settled in Lesotho at around 1550 and became one of the ethnic groups of the Basotho. 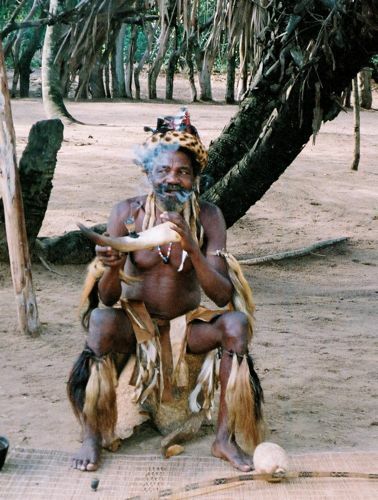 They bought the land from Sanu tribes (South Africans, now better known as \”Bushmen\”) in exchange for marijuana. However, there is a possibility that Sanu tribes had already known and used cannabis long before the Cohen people came, but probably marijuana was not so popular. In addition, Gill says, in the 19th century – shortly after the founding the Kingdom of Lesotho – King Moshoeshoe I contributed to the growth of agriculture, and the local population became more dependent on agriculture. Perhaps, at that time marijuana was grown along with sorghum, squash and beans. People living in the mountains consider marijuana a traditional medicine. In addition it was also used as industrial crop and recreational drug. Gradually medicinal value has faded into insignificance. Currently, cannabis is grown almost all over the country including the capital, Maseru. However, the main areas of marijuana ​​cultivation are located in the mountains of central, eastern and western part of the country. Plantations are usually located in the valleys with lots of running streams and rivers from which water is distributed through irrigation channels. 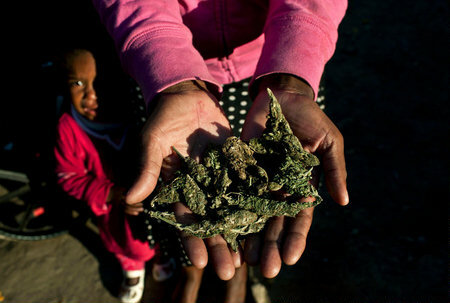 Low quality marijuana comes from the western part of Mokhotlong. It is probably due to genetic differences as growing conditions are the same. It is this area the ancestors of many today\’s indoor strains of skunk came from. Algeria is a classic African country, where in addition to poverty and social exclusion affecting a growing number of young people, problems of political violence and collapse of government are worsening. So-called \”Arab Spring\” did not manage to stabilize the situation. Many people are under tremendous stress, and they are not able to find sources of livelihood and try to resolve the situation by means of drugs. Marijuana, hashish and other drugs come into the country mainly from neighboring countries as it is quite difficult to control a 6700 km long border. Of course, marijuana is also grown in Algeria, but compared to neighboring large suppliers the Algerian production is only a small part. Because of its location, Algeria, as well as Morocco, is mostly a transit country, which feeds hungry and rich markets of Europe (supplying cannabis). After the Arab revolution the situation is changing but rather for the worse. It is logical that any instability associated with the social changes of the last months in the Arab countries results in expansion of illicit trade (not only of marijuana and hashish). Some part of the drugs enters the markets of North Africa, but the rest are sent to Europe – to Italy via Tunisia, to Spain via Morocco, or directly to Marseille. Smugglers of North Africa use old paths over which caravans have been moving for several hundred years and they know this area better than anyone else. Heroin trafficking between West Africa and Sudan is made over the same route. Another major supplier of marijuana is Nigeria. The situation remains unchanged. Despite occasional raids the number of plantations is growing. Nigeria continues to play a significant role in the international cocaine trade. Authorities do not stuff their heads with this problem, and the corruption only helps local merchants to strengthen their monopoly position. Congo is another troubled agricultural country. The dissidence among the population has remained since the Civil War. The police regularly destroy cannabis fields in the villages. Not being a source for local income basis, cannabis, however, brings a certain profit. In addition, civil wars, which are common to all African countries including Congo and neighboring Kinshasa, promote the expansion of hard drugs trafficking, such as cocaine. Unfortunately, the leaders of many ethnic groups learn more about the possible profit from the cannabis cultivation compared to other cultures. So they try to control the competition, which makes the situation between the people living in a common area or next to each other after civil war just desperate. It is not surprising that among the rural population conflicts continue. The problem of illicit drugs trafficking is clearly seen within these examples. Illegal status of these substances and repressive approach, of course, do not reduce the demand but rather act in favor of black market and indirectly contribute to violent conflicts. In addition, taking into account the traditions, such as the long-standing relations between people and marijuana, we should stop to decide whether it is legal to produce and use cannabis and finally see that the problem lies not in drugs themselves, but rather in relation of individuals and societies to them and in neglecting the traditions associated with them. Oh, and last but not least, in personal responsibility.